Race gets going with safety car start after issue with starting lights. First lap spin for Rosenqvist forces recovery drive to second place. Mortara leads most of the race only to spin on final lap, handing victory to Audi. Daniel Abt wins the race on his birthday - 25 points for his 25th. Championship rivals Buemi and Di Grassi finish outside top ten for second race in a row. There is plenty to think about, and lots of time to do it! The next race isn't until January, so enjoy the holidays and see you back here for round 3 from Morocco! So two races done. Today's wasn't the racing spectacle of yesterday but certainly added to the intrigue and interest of setting up the full season. Traditional championship runners aren't faring so well, new rivalries are forming, and young drivers are learning on the job very quickly. Trophies and champagne. Abt runs straight into the crowd and his team, champagne spraying everywhere. Podium celebrations, and as Daniel Abt makes his way to the top step, they play out 50 Cent. "Go shorty, it's your birthday." Team Audi Sport ABT Schaeffler under investigation. Edoardo Mortara: "I am gutted, yea. I was struggling with the brakes at the end, but it was my fault. I wanted too much today, I wanted to go for the fastest lap, I had way too much energy, I had the energy to do it. I lost the rear, sometimes you have to say, yea. You never know what the next race weekend is going to be, but we had the chance to win the race. I managed not to do it but thanks to Venturi, they did an awesome job. To be there leading the race for most of the race, it was amazing, we'll try again for the next one." Felix Rosenqvist: "To be fair, I've been struggling with my brakes all weekend. I just locked up the rear completely, they were completely stopped, I just spun around in turn one. Just went a bit too far to let the other guys through as well. We had to go for a different strategy, I felt so good in the car. Huge thanks to my team. That's promising for the season, that's 22 points today, so that's a good day." Daniel Abt: "I almost have no words. Starting the day, we were saying we'd go for 25 points on my 25th birthday, but for it to actually happen, I'm so delighted. It's been a long time since my last win, and everyone's worked so hard over the last couple of months to have a car capable of winning. Huge credit to Edo for his pace today. Okay, he did a mistake, but great race today. I've had a lot of races that didn't go my way but everything today went in my direction and it's the payback today for a lot of hard work." Mortara does look devastated by the result. It's tricky because his third place is still brilliant for the rookie racer, but the glimpse of a win has tainted it all. Yesterday's race winner Sam Bird finished sixth. The battle between Evans and Lynn was neutralised in the final few corners, with Lynn dropping back down to tenth. Tweet from @girltalksracing: Would you rather... undergo a Rosenqvist at the start of the race or a Mortara with 3 laps to go? Crash at the final corner as Lotterer hits the wall at the very final moment. Mortara does take third, he'll be disappointed but it's something. The replays look like it wasn't his fault, the spin. Abt's first ever Formula E win, and a great job by the Audi Sport crew in their second official race. Daniel Abt wins the Hong Kong e-Prix! Filippi has come into the pit lane, energy running low. Abt is leading now, with Rosenqvist recovering to second place. He's rejoined third, so still a podium but that must hurt. Mortara!! After such an incredible race, he's spun and thrown away a comfortable win! Filippi, running last, has just 6% battery left. Tweet from @eracing_net: Alex Lynn and Mitch Evans are in a serious battle for fourth place - if Evans can hold onto it it will equal his best-ever finish, in last year's much less competitive Jaguar. Eight laps might not be enough for him to improve on that. Battery usage is not at about the 40% mark. Lynn is told to beware trying to pass and using too much energy. He has more than Evans in front but can't just go all out. There's a piece of Heidfeld's car lying off track which won't be helping his pace. Team radio to Nick Heidfeld: "The car behind you is not for position. Is not for position." Mortara trying to get through yet again. Battery usage is similar across the field, running in about 75% remaining. A few of the lower positions have more, but they've got ground to make up. Something must have gone awry in Da Costa's pit stop, as the Andretti car is now running down in 14th having taken that extra lap before coming in. So, Mortara has retained his lead with Abt three seconds behind. Rosenqvist has done a brilliant job to move into third, making up for that embarrassing first lap spin. Di Grass slowed right down, but got the Audi going again. He does make it round to the pit lane. Da Costa and Lynn make their pit stops this time round. Abt had a long stop yesterday but has got away cleanly today. Instead, it's Mitch Evans who had a long stop and he's dropped at least one position. Lots of pit stops happening now, with just Da Costa, Lynn and Di Grassi opting to stay out on track. Mortara does get through eventually but comes into the pit lane anyway. Mortara has been following Heidfeld for a good few corners, the back marker not making it easy for the leader to get past. Buemi comes into the pits, the first of the runners to come in for the big car swap. Buemi and Jani are the first pair to dip below 10% of energy remaining. Tweet from @girltalksracing: Regardless of where Rosenqvist’s battery is at right now, his frustration is at 100%. It makes for great passes though. Tweet from @NIOGlobal: A broken track rod meant @LucaFilippiLF had to pit, he returned to the race at the back of the field. @OliverTurvey is running in P8. Energy percentages vary across the field, but we're down to the 25-28% range. Rosenqvist makes another pass, snatching 7th place from Oliver Turvey who was too busy concentrating on energy conservation. Filippi is back out on track and running again. He's 5 laps down on the rest of the field but has a lot more energy left than they do! Tweet from @MahindraRacing: And @FRosenqvist is pulling himself slowly back up through the field, still over half distance to go, onward!!! Nick Heidfeld sets the fastest lap of the race so far - he's currently running last after the issue that halted him on track, but he's got it all going again. Another position gained for Sam Bird, who moves into 8th place. Energy-wise, Mortara is doing an incredible job to comfortably lead but also keep more in reserve than those chasing him. Filippi has come into the pit lane, a disappointing race could be over already. Out front, Abt is keeping tabs on race leader Mortara, but the pair have pulled a gap out on Evans in third place. Buemi up to 15th as he passes Kobayashi. Lotterer is next in his queue. FanBoost this race goes to Kobayashi, Filippi and Abt. The Mahindra car has got going again, but he's missing some bodywork from some contact perhaps. Nick Heidfeld has pulled to a halt out on track. Sam Bird trying to make amends for the incident yesterday and subsequent penalty. The DS Virgin car is in 9th place now. Buemi up another place as he dispatches D'Ambrosio. Meanwhile, Vergne is looking for a way past Alex Lynn in a battle for 5th place. Buemi is on it already, he's moved up to 18th place after starting last. Mortara is now leading the race, the rookie driver who surprised everyone yesterday with such a great qualifying performance. Rosenqvist spun it at the hairpin, and had to just sit and watch whilst the pack piled through. Then he got impatient and just muscled in, making contact with a couple of other cars. He's down in 11th now. The safety car heads in and Rosenqvist speeds up round the final corner to kick-start the race on lap two. Tweet from @TecheetahFE: Slight anticlimax for the drivers but the race will get going and that is the most important thing! Very anti-climactic start to the race. Looks and sounds like there's an issue with the starting lights gantry, so the safety car has led the field away. That's awkward. Grid positions now, start behind safety car. And finally the cars move forward to their grid slots. There were a lot of problems with the radio yesterday, drivers unable to communicate with their teams, which was frustrating for them and meant we could only hear a handful of conversations. The start procedure was activated but there is no movement on the grid as yet. The grid actually wraps itself around that final corner, with Buemi unable to even see pole position from his spot. Ten minutes to go. Keep an eye on the early corners when the racing gets going, as yesterday saw a bit of a traffic jam when Lotterer crashed and brought everyone behind him to a standstill. A lengthy red flag period followed - we'll be hoping to avoid that situation again today. 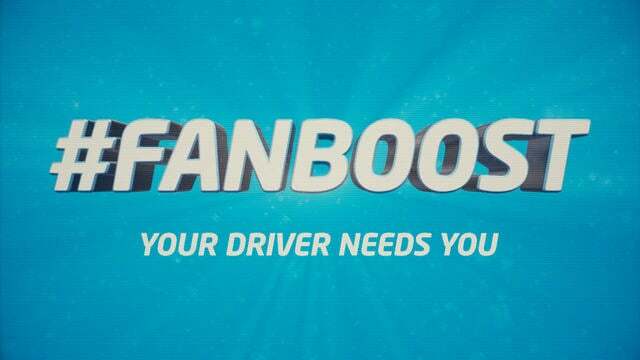 Don't forget you can still vote for your favourite driver to get FanBoost for the upcoming race. Just a few minutes left. The usual suspects were missing in action once more, with Sebastién Buemi hitting the wall and finishing 20th, whilst Di Grassi was a little further up in 12th but he still missed out on the fight for pole position. Which brings us to qualifying, and it is Rosenqvist who has secured pole position for the race with Mitch Evans a close second (although he'll start fourth for a power overuse penalty). Bird's misdemeanour in the pit lane earned him that drive through during the race but the stewards also decided to hand him a 10 place grid penalty for the race today. The main headlines are Sam Bird's victory, which came after a pit lane incident that slowed him down and earned him a drive through penalty. He still managed to win ahead of pole sitter Vergne and a disappointed Heidfeld. If you missed any of yesterday's brilliant opening race of the season, then do check out my lap by lap coverage of the event, or the sixty second summary to get all caught up. Hello there! Welcome to the Factbyte Factbox for the second race of the 2017/18 Formula E season, just 24 hours after the first one!